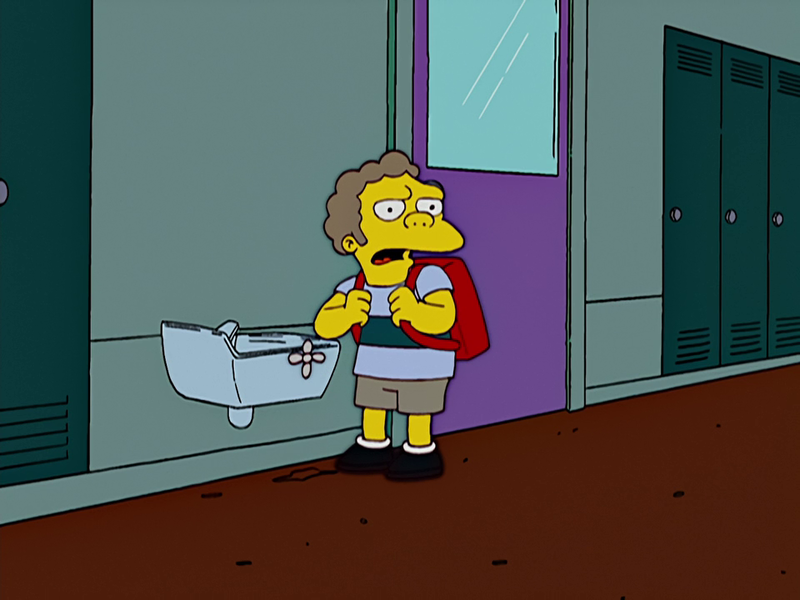 "Little Moe Szyslak" is a student at Springfield Elementary School who looks like a child version of Moe Szyslak. When Martin and Database found a note on their lockers signed LMS (later revealed to be Lisa Marie Simpson) they try to find the writer, resulting in them thinking that it was him. Little Moe Szyslak then angrily walked away, wondering why everyone was always calling him that. His appearance suggests he is a relative of Moe Szyslak. If there is a relation, it would likely be an extended one because he doesn't understand why people keep calling him Little Moe Szyslak, as if he does not know who the normal Moe Szyslak is. Modified on December 16, 2014, at 12:38.